We help you get healthy and stay healthy. Unbreakable Body Lab isn’t like any other doctor’s office you’ve encountered. We want to disrupt the entire healthcare industry that’s based on masking problems and using drastic interventions. North Austin Chiropractor Dr. Dave Cohodes seeks to be the facilitator of that change by empowering you as an individual. You’ve probably been to medical doctors, physical therapists and maybe even other chiropractors without getting the answers you deserve. We offer something entirely different. With our Unbreakable Health Program, you can take control of your own health, eliminate pain, get the answers you seek and prevent your problems from coming back. 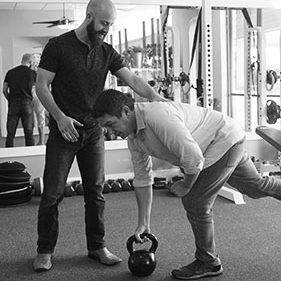 We’ll train you at our North Austin Sports Medicine Clinic, and ensure you have the knowledge, strategies and tools to optimize your body and live free from limitations. You're the one in charge at Unbreakable Body Lab. It's you that does the work, makes the changes, learns and gets to reap the incredible benefits of being healthy. Not only do you get to enjoy greater strength, stamina, focus, energy, clarity and productivity, but you become the solution to the health problems that plague our country. Having your health brings fun, energy and joy to your life. It also requires that you take responsibility. We're here to be your guide and encouragement along the way. 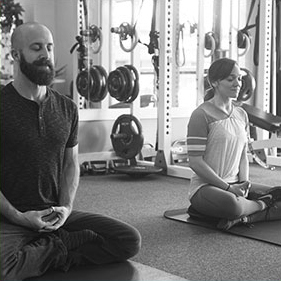 Our revolutionary program gives you the power in regaining your health through a comprehensive approach that involves chiropractic care, soft tissue work, rehabilitative exercises and yoga meditation. You can choose to participate in the 12-week program. If you'd just like to have a few visits to get out of pain, it's your decision, and we're happy to help you in any way we can. If you've been looking for a Chiropractor in North Austin who will create a personalized plan for you, look no further. Dr. Dave will devise one in accordance with your wants, needs and the findings of our thorough evaluation process that uncovers the cause of your pain. Experience a network of support and inspiration. Contact our North Austin Sports Therapy Clinic today to see if a same-day visit is available! Book now! I had neck pain for the past 16 years. Unbreakable Body Lab is the best; they helped me figure out what was causing my neck pain to linger. Using Unbreakable Body Lab I learned how to fix it. Added bonus – Not only are my neck issues resolved, I’ve added mobility throughout my entire system, and it improved my workout performance! I only had 3 weeks to my race when I first I went to Unbreakable Body Lab. I had seen six other doctors before this, and I fully expecting to limp through my race or run it in a lot of pain. Not only did I run the entire race with NO PAIN, I also came out with the knowledge to continue to treat myself should I have any recurring issues post-race. Dr. Dave definitely has my vote and my thanks!